WAIST HIGH: INXS Reveal New Album Original Sin. INXS Reveal New Album Original Sin. INXS have revealed the title, track listing, and cover for their long-awaited new album Original Sin. The album was made available Monday and can now be found at iTunes Australia, JB HI-FI, and Waterfront Records. 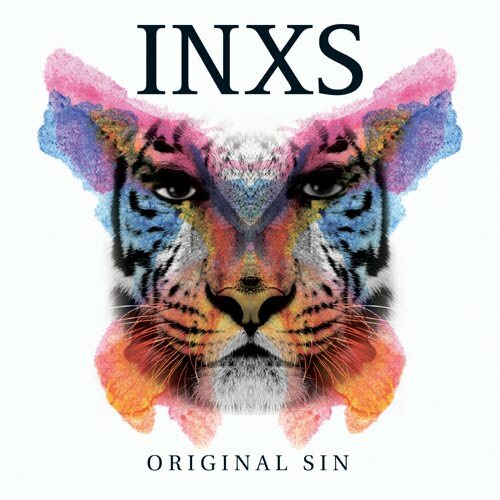 The twelfth studio album from INXS, Original Sin is a tribute to their late frontman Michael Hutchence who passed away November 22, 1997. The band said they have come together with "their most favoured artists to completely re-imagine their greatest songs and create one of the most unique albums of all time." The album has been recorded over the last two years and features Train's Pat Monahan, Tricky, Ben Harper, and Rob Thomas. The early concept for Original Sin was "a remix-style album, where we reimagined the songs from an electronica perspective." But the band decided that to stick to one genre would be too limiting. "We started extending invitations to different singers," said drummer Jon Farriss. "We didn't want to just re-record the songs; the further from the original we got, the more comfortable we felt. The theory was, if we're going to pull this apart, let's really pull it apart." A preview of Original Sin can be found here.